As solid state drives (SSD) prices continue to drop, TLC SSD, with its advantage of low cost and high capacity, is replacing MLC SSD and becoming the mainstream in the consumer market. TLC NAND flash chips have actually being around for a long time, but they are more commonly used in products such as memory cards and USB drives. As controller IC technology matures and as firmware technology evolves, SSD are also beginning to utilize TLC NAND flash chips. TLC is probably not unfamiliar to iPhone fans; when iPhone 6 began using TLC chips, it caused some waves amongst the market. With the maturation of firmware, and as the later iPhone 6s being equipped with a larger buffer memory, consumers' concern with regarding iPhone using TLC chips have gradually dissipated. There are 4 types of NAND flash technology architectures, SLC, MLC, TLC, and QLC; they differ on how many bits are stored in each cell. Due to the fact that solid state drives using SLC NAND flash chips are limited to storing one bit of data in each cell, there is no advantage to the storage capacity per cell; as a result, cost has remained high, the primary application of SLC SSD are limited to military and industrial uses. Due to the high cost of SLC, even enterprise level SSD used by servers have begun to use MLC solid state drives. As for MLC solid state drives, it has become the mainstream for consumer grade solid state drives during the past seven to eight years (2008 - 2015). But with the evolution of NAND flash technology, TLC can allow each cell to store up to 3 bits/cell, meaning that the storage density of TLC NAND flash is higher while the unit cost is lower. When compared to MLC SSD, TLC SSD can achieve the same capacity by using less NAND flash chips, resulting in production cost advantages. TLC is also referred to as 3-bit MLC. Before discussing the durability of TLC, we should first discuss why SSD has service life issues. The most important storage component within the SSD is the NAND flash, it is also the NAND flash that determines the service life of an SSD. Based on NAND flash's physical structure, data exists in the form of electric charges stored within layers of insulation. Charging (writing data) or discharging (erasing data) must pass through the insulation layer, and the passing electric charge would breakdown the insulation layer slightly. After certain numbers of charging/discharging cycles the memory component will wear out. That is why the concept of P/E cycle exists, calculating service life based on the number of times data can be written and erased. For most who question the durability of TLC, their concerns are generally about the service life (P/E cycles) of TLC, which is shorter as compared to MLC. 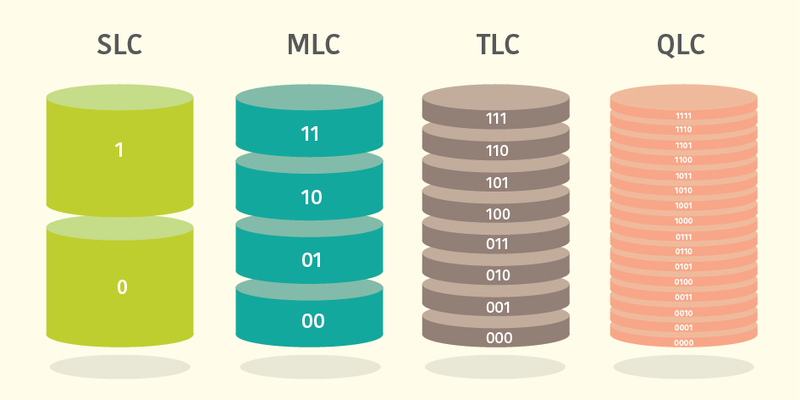 The reason why TLC has a shorter service life as compared to MLC is because TLC requiring higher voltages during the writing and erasing processes. TLC can store up to 3 bits per cell, which requires 8 voltage states; compared to MLC, which stores 2 bits per cell, and thus only requires 4 voltage states. The higher voltages cause the insulation layer to breakdown faster. From the above, we can see that SLC, MLC and TLC all have an expected service life. As long as NAND flash is experiencing continuous writing and erasing, sooner or later the threshold will be reached and it will be worn out; just like a piece of paper which can only be erased by an eraser for a certain number of times. Some people may ask why not just use traditional hard disk drives (HDDs)? While the traditional hard drives do not have service life limitations with respect to P/E cycles; their mechanical structures do wear out eventually. Not only are the read/write speeds of HDDs less than 1/5 of SSDs, they are also bulky, heavy, noisy, and can easily be damaged when dropped. In comparison, SSDs are faster, lighter, quieter, and shock-resistant, and thereby becoming the mainstream on the storage market today. Similar to the cellular phone market, while traditional cell phones are very durable, with the advancement in technology and the consumers’ need for speed, smartphones have become the norm. No matter what storage media you are using, SSDs or HDDs, it is always a good idea to back up your data on a regular basis. Also, if you wish to extend the service life of SSDs, in addition to avoid using the drive that requires heavy reading/writing tasks (such as constantly running BT downloads or defragmenting it), you can also install software which reduces the number of writes (like PlexTurbo by Plextor) to extend the drive's service life limit. TLC is replacing MLC as the mainstream in the consumer SSD market. It is understandable that consumers are worried about TLC's service life. When MLC SSDs first become popular consumers were also concerned about MLC's reduced service life as compared to SLC. However, with the increasing number of users and as time gone by, that concern has long since dissipated. Last year, a handful of manufacturers tested the water and launched TLC SSDs, but they were not favored by the consumers. However, with the advancement of TLC NAND flash technology, TLC SSDs is definitely on track to become the mainstream this year. In the past year, Plextor has focused its attention on increasing the service life of TLC SSDs. By using high quality TLC NAND flash chips, selecting the best-suited controller (the brain of solid state drives) and combining proprietary firmware, Plextor is fully committed to increasing the durability of TLC SSDs with their exclusive technologies. 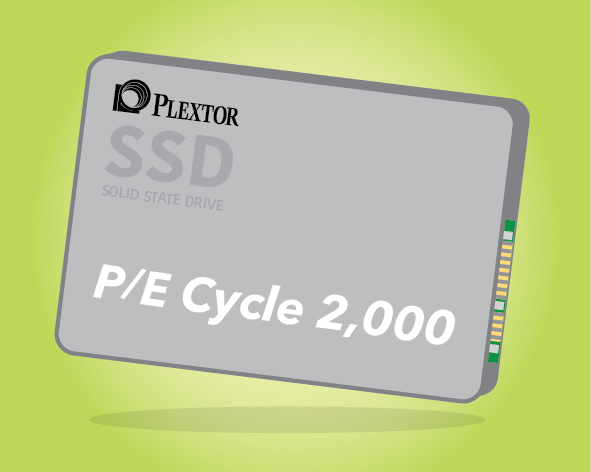 Now rumor has it that Plextor plans to launch its first TLC SSD with 2,000 P/E cycles, far above the market average (typical TLC P/E cycle is around 500 to 1,000), thus ensuring a certain level of product life expectancy. 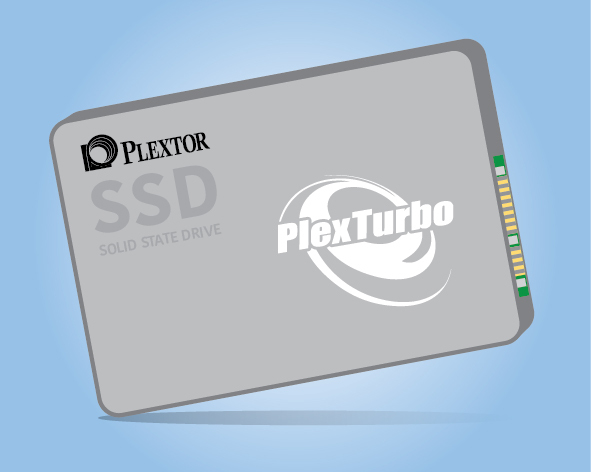 In addition, Plextor's TLC SSDs can be used with PlexTurbo software. Installing PlexTurbo would not only increase the read/write speeds of SSDs, more importantly, it decreases the number of write access, which greatly benefits TLC SSDs since writing fewer times means consuming less P/E cycles, thus extending the service life of SSDs.